Several months ago we bought a Sony BDP-BX2 Blu-ray player. I duly upgraded my Netflix account to send us Blu-ray disks. A couple of months later I switched it back to DVD-only rentals. Blu-ray just isn’t that much better than DVDs. Maybe I’ve ruined by eyes with decades of watching NTSC television and computer CRTs, but I just don’t see enough improvement to justify a change. The Sony player is awful. It’s slow. It requires an Internet connection (!!). It doesn’t play all DVDs correctly. In a way I’m relieved. I have a huge collection of DVDs already and I didn’t want to have to replace them. I posted a review of the Sony BDP-BX2 on Amazon, though I actually bought the product at Costco. It grants the device one star, so I don’t know if Amazon will publish it. I’ve used a lot of video players over the years and, since the fall of VHS, I’ve been most consistently satisfied with Sony’s players. This player is SLOW. It takes 10-20 seconds just to eject the tray AFTER I’ve turned it on. Every action is glacial. Starting a video is slow. It makes a similar delay to eject a disk and/or shut off the unit. “Special effects” like fast forward, slow, and pause are jerky and unreliable. This player is INCOMPATIBLE with standard format DVDs. I have a widescreen TV and I can’t get it to play standard DVDs without artificially widening the image to fit the screen. Aly McBeal isn’t supposed to look so hefty. Personally I can’t see enough of an improvement in Blu-Ray to justify the cost and inconvenience, even with a low cost player like this one. There will always be high fidelity snobs who want the biggest and fanciest and most exacting. 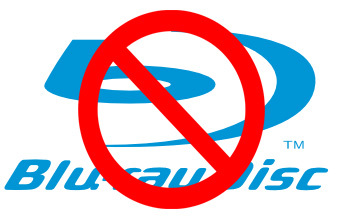 Blu-ray is cheap enough to bring snob appeal to a larger audience. But I think most buyers will be satisfied with DVDs. I doubt many garden-variety viewers will pay much attention to the difference between the two. This is a case of “good enough” being the enemy of “better.” Yes you get better video out of Blu-ray. But the cost isn’t worth it.